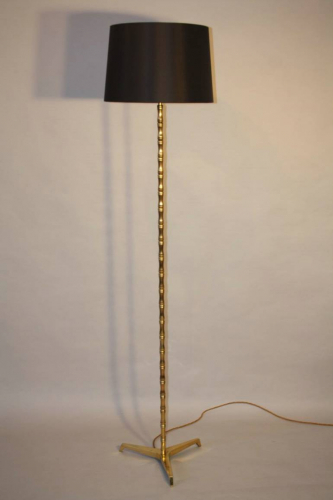 A very elegant, solid and well made gold bronze bamboo floor lamp on tripod base. French c1950. Rewired and PAT tested for UK use.